The magisterial official life of Britain’s complex and misunderstood former prime minister, which offers a fundamental reassessment of his reputation.Edward Heath arguably changed the lives of the British people more than any prime minister since Winston Churchill. By securing Britain’s entry into Europe he reversed almost a thousand years of history and embarked on a course that would lead to the legal, political, economic and social transformation of this country. By abolishing the Resale Price Maintenance he cleared the way for the all-conquering march of the supermarket and revolutionised every high street in the country. He forced through both reforms by a combination of determination, patience and persuasive powers, against the inertia or active hostility of a large part of the British population, including many in his own party. Yet Heath today is a largely forgotten figure, completely eclipsed by his more famous successor. His working class origins and suspect accent made him an unlikely Tory leader. But he was a trail-blazer, and without him it is unlikely that Mrs Thatcher would ever have risen to prominence. With exclusive access to the huge collection of Heath’s personal papers, distinguished biographer Philip Ziegler reassesses the contribution of one of the most resolute and forceful politicians in recent British history. Philip Ziegler was born in 1929 and educated at Eton and Oxford. He was a diplomat before becoming an editorial director at the publishers William Collins. His many books include acclaimed biographies of William IV, Lady Diana Cooper, Lord Mountbatten and Harold Wilson, as well as the classic history of the Black Death. 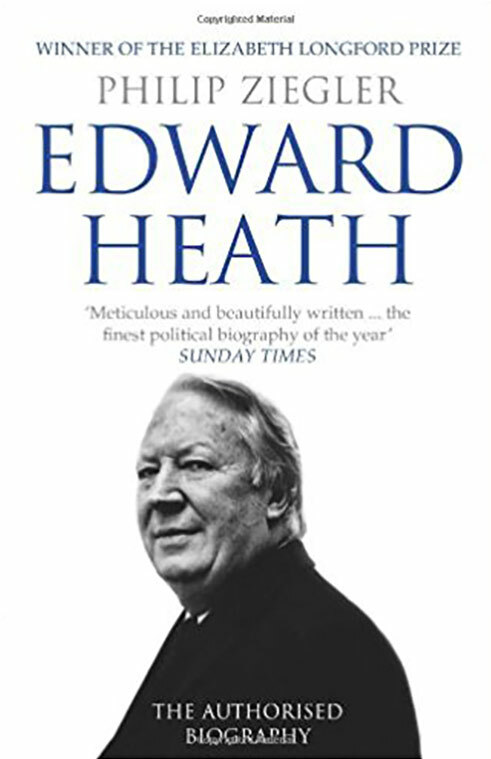 His authorized biography of Edward Heath won the Elizabeth Longford Prize in 2011.